There’s no such thing as a simple, down-and-dirty direct mail campaign being built in a day or even a week…that is, not if you care about its effectiveness. Print marketing may cost more than an email campaign, but according to the DMA, direct mail is making a comeback, with a 5.3% response rate in 2016 compared to 3.4% in 2010. These are the elements we’ll be featuring in this Direct Mail Best Practices series. Many marketers focus on the creative and the message when crafting a direct mail campaign. Why not? It’s the fun part. We get it. But if your mailing list is bad from the get-go, your creative will never be appreciated and your budget will be blown. Focus on the mailing list. Sending your direct mail campaign to the right people should be your #1 priority. Take the time at the very beginning of your campaign to make sure your list is the right one. Here are some guidelines. 1) You generally have more success with your house list. That’s your own database of customers, past customers, and prospects. If you’ve taken care of this data, it’s bound to be more effective than anything you can buy or rent. Assuming you’ve maintained your contact database, you not only have current and accurate names/addresses, but you also have customer history. You know who’s responded to your previous marketing campaigns and who hasn’t. 2) Your house list should be cleaned up before the mailing itself, regardless of how often it’s maintained. Screen out any duplicates. Depending on your industry, you’ll want to check for company names, in case there have been a lot of mergers, acquisitions, or closings since the last time the list was used. Suppress such “bad” company affiliations unless you can update them. 3) Identify the list members who should receive your direct mail campaign and suppress those who should be excluded from the offer. What if you have multiple contacts from the same company? Should they all get your mail piece? 4) Consider getting an expert data mining service company to clean up your list for you – a good practice no matter where your list is from. 5) You may also rent or purchase mailing lists. These options are all over the Internet. Be extremely careful when doing so. Whether you go to a list broker or prefer to get a list from a publication, an association, or another list source, make sure you know exactly what you want and what you’ll get. 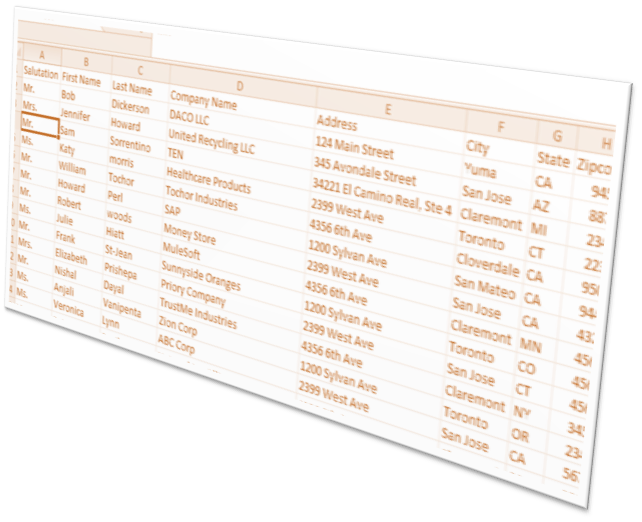 6) Do you want a list segmented by company type or size? A consumer or corporate mailing list? Those interested in a specific industry – or in a particular geographic location? Do you want it segmented by gender? Household income? SIC codes? Sales volume? The list choices go on and on. 7) Wherever your list is from (if you’re buying or renting), find out when it was last cleaned. You want data that’s as current as possible. A procured list should be de-duped before you get it, and stripped of all obsolete data. You should test the list if possible. 8) Ask the list broker or whatever your list source is for their guarantee. What do they promise? What percent of the list will be deliverable? What about a money-back guarantee? Just be certain you know what they promise and what they’ll do for you if the list fails to perform. The time spent compiling your mailing list will be worth it. You want your direct mail piece to get into the right hands, and the only way this will happen is if your list is a good one. Large companies have resources dedicated to customer databases, but small businesses often don’t. That’s why maintaining your contact database is so critical. When the time comes to send a direct mail piece or an email campaign to the right audience, your house list, if maintained, will generally outperform any other. Stay tuned for our next post in our Direct Mail series when we talk about the importance of the message. To make sure you don't miss it, subscribe now to the OnFulfillment blog - see the form at the top right!